Modern programming thrives on rich spaces of data, information and services. F# 3.0 brings integrated support for Information Rich Programming to the .NET platform. F# Type Providers and F# Queries greatly simplify data-rich analytical programming, allowing programmers to easily access and manipulate a variety of data sources. 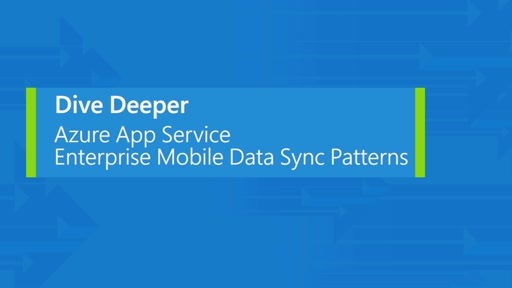 In this talk, I'll introduce these exciting new features and how they can be used to leverage technologies such as OData, SQL Server, WSDL services, SharePoint, and Windows Azure Marketplace. The talk was quite inspiring. I also think that stuff like that is the way to go, at least for non-performance critical apps. But I think the very first comparison with C# was a real bad choice ^^. You may fool the noobs but with a crowd like that, I am sure I am not the only who noticed that your C# boilerplate was contrived. The five lines of F# for the command pattern translate almost without any additional characters to their C# equivalent, at least if you use C#4 and don't restrict yourself to C#2. BTW, the F# code shown there does NOT the same, it does a lot less... Not that I am not convinced that in F# one can write some stuff more compact and concise but trying to fool the audience usually leaves a bad impression. Instead find a better example and I bet there are plenty! The F# information rich programming concept was kind of an eye opener for me. It makes a lot of sense to strongly type external data sources in this way. I find it very interesting to watch where F# is going, even though I don't use it myself. I also want to +1 Luna's comment about the contrived C# code. A dishonest comparison like this is far from the best way to win over new developers. I'm sure you can do better. 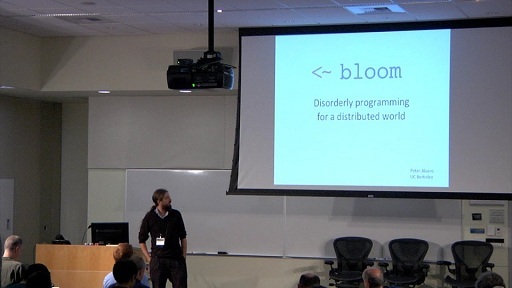 i enjoyed this talk and being kinda new to programming. I really like the .NET platform although I never use VB. 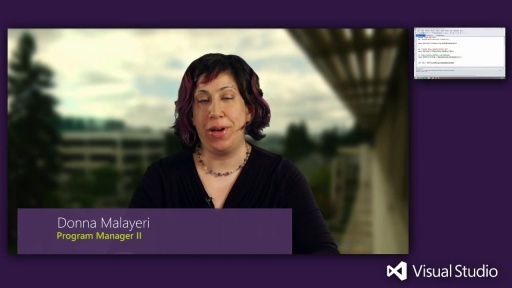 I look forward to win8 and seeing the new languages that will come the winRT. my blog http://williamsadventures.wordpress.com/category/intro/. See u around the bends friends. 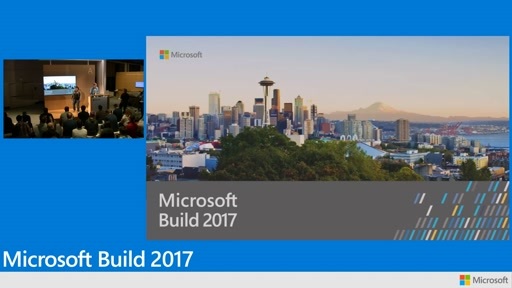 While I enjoyed the talk, I got disappointed that the future of F# part did not address the 2nd class status that F# seems currently to enjoy in Visual Studio. I for one would like to have proper F# support for Web development, WP and Windows 8 in Visual Studio. @Luna--good point. I should probably have said OO style with C#, rather than just C#. You're right that if I used lambdas in C#, it would have been much more succint. Generally, the OO-style command pattern seems very prevalent, possibly because the language in general is very object-oriented. This is pretty cool. I'm wondering if the type provider feature will eventually carry over to C# as well. 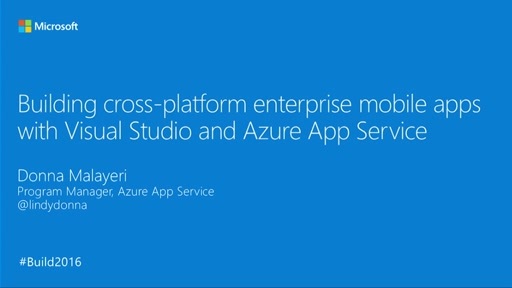 I wonder what that would mean for something like Entity Framework.